Meet Pepper! This poor gal at 1 1/2 years old had a rough start and on the brink of death when found a year ago, but now on the mend and we wish to change and put the past behind her! Pepper is approx., 55 pounds and Lab/Border Collie mix. She takes a little time to warm up to folks especially men. She is somewhat timid, but eager to trust kind humans. Pepper needs understanding, kindness, unconditional love, a gentle touch or she cowards with fast movements, scared of storms and loud sounds. Pepper loves to play, has plenty of energy and enjoys a good game of tug-a-war. She needs a human companion that can cherish everything about her and break the barriers and shell still surrounding her. She would love a human buddy to enjoy a lifetime with! Pepper like all young pups still needs obedience training, is housebroken and can use more help with leash walking. 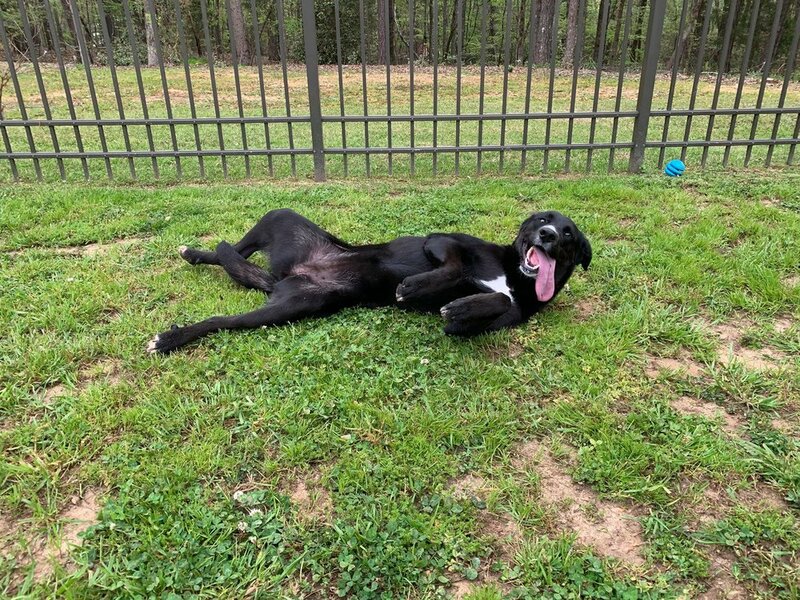 Pepper would ideally go to a home with another dog to play with and a large fenced in yard to romp around in whenever outside to enjoy the day. If you are interested in making a difference and gaining a loving fur friend please consider Pepper. To apply please go to complete our online pre-adoption application. Pepper will be fully medically vetted; spayed and up-to-date on everything before going to her forever home. She is heart worm negative and on prevention plus will be micro-chipped.